It’s no secret that the German economy was in the doldrums for some time after reunification and, as a result, its property market suffered. For the British buyer, however, this means that a plentiful supply of housing is available at affordable prices. Add into the mix the fact that Germany is a nation of renters (only 43 per cent of Germans own their own home), and the investment potential of this European nation suddenly looks very promising. In fact, you only have to look at how much global investment companies are spending in Germany to realise its full potential – for example, in 2004 the Forbes Investment Group bought 80,000 properties for an impressive £2.3 billion. The result of such spending means that house prices in Germany are on the rise once again, after dropping 6.8 per cent between 1994 and 2004, albeit not at an unprecedented rate. For a long-term investment, however, this bodes well, as a steady economic recovery tends to be a solid one. If you are planning on renting your property out, the best bet is to consider a city home as many Germans move to the urban centres in pursuit of work. Berlin offers great value for money and, as home ownership figures in the capital are as low as 11 per cent, finding a tenant shouldn’t be too difficult. Facilities and amenities in the city are also good thanks to the 2006 football World Cup, which resulted in plenty of inward investment into the hosting capital. Homes in Munich are the most expensive in the country, with prices averaging around £6,500 per square metre. Meanwhile, Frankfurt, the financial centre of Germany, offers a large choice, although at slightly high prices. Finally, the cities of Cologne, Stuttgart and Dusseldorf are all worth watching – especially as the number of new builds in these areas has been decreasing year-on-year for the past seven years, and is now at an all time historical low. As always, rural properties offer much better value for money, with houses starting from around £53,000. 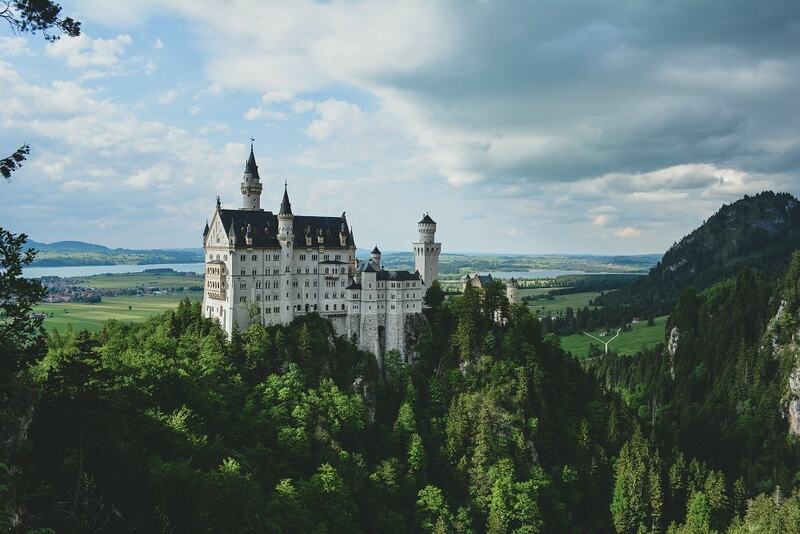 There are no restrictions for British nationals buying in Germany, however if you wish to stay for longer than three months you will need to apply for a residence permit. This can be obtained from the local Foreign Nationals authority at the local town hall or area administration centre, and once obtained is valid for five years. The purchase process in Germany is not unsimilar to that in the UK, apart from the presence of a notary. Once you have found a property that you like you put in an offer. When a final sale price has been agreed between buyer and seller contracts will be drawn up by your respective solicitors and, if you are not 100 per cent fluent in German, translated. All contract terms are variable, so it is essential that you employ an independent solicitor – especially as there is no cooling off period once the initial contract is in place. The contract will include all property details such as the agreed price, completion date, payment conditions and stipulations regarding either party withdrawing from the purchase. At this point you must instruct a notary, who will act as a neutral intermediary between buyer and seller and check the title deeds. In order to complete on the sale, both parties need to be present to sign the final contract before the notary. You will need to produce a valid passport at this time, and it is advisable to have a translator present to ensure that you are aware of the entire transaction. Once the contract has been signed the deal is complete, and the notary will list the change of ownership with the land registry.